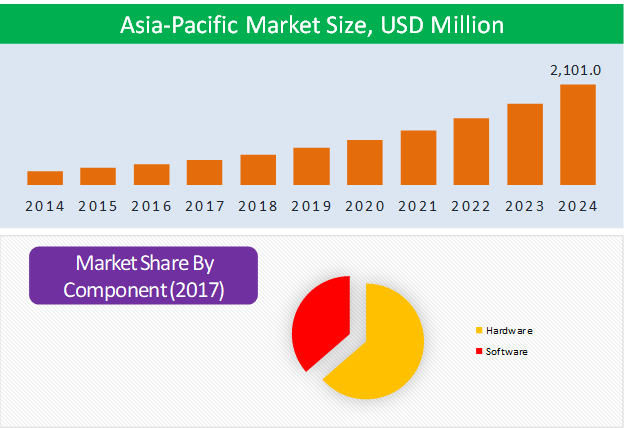 The Asia-Pacific vertical farming market is predicted to grow at 22.1% CAGR during the forecast period with the market size reaching USD 2,101.0 million by 2024. Vertical farming technique uses a (controlled-environment agriculture) CEA technology to preserve the environment and produce the crops even in densely populated areas of the city. This eliminates the excessive expenditure to be incurred on a rain-forest and helps in fulfilling the ever-increasing demand for crops amongst the increasing population of Asia-Pacific. On the basis of growth mechanism, the Asia-Pacific vertical farming market is categorized into aeroponics, hydroponics and aquaponics. Of all, hydroponics holds the largest share in the European vertical farming market. Based on the structure, the Asia-Pacific vertical farming market is categorized into building-based vertical farms and shipping container vertical farms. The technique is largely used for growing several crops such as lettuce, pepper, broccoli, cucumber, spinach, tomato and others. Based on crop type, the vertical farming market is categorized into broccoli, pepper, tomato, spinach, cucumber, lettuce, and others. Lettuce is the most grown crop in vertical farm and the demand for vertical farm products is anticipated to be the highest for this crop type during the forecast period. The use of vertical farming in Asia-Pacific is helping the commercial growers to automate tasks such as nurturing seedlings that helps in essentially reducing labor costs that further helps in enhancing the profitability of the manufacturers. The use of this technique is helping the region to reduce the use of water at minimum threshold. The vertical farming technique is used for developing leafy green vegetables in this region. The technique is helping the region to develop adequate produce in order to satisfy huge number of population. The increasing demand for environment friendly production of fresh fruits and vegetables with no use of pesticides is driving the demand for vertical farming market in Asia-Pacific. The consumption of organic food is helping the people to lessen their symptoms if they are suffering from allergies to foods or chemicals. Moreover, the geographical opportunities of vertical farming in Asia-Pacific are creating enhanced opportunities for vertical farming market to grow exponentially. The region of Asia-Pacific is providing various opportunities to develop such building-based vertical farms and shipping container vertical farms. The region aims at supplying large pounds of pesticide free crops and also saves the water consumption of the region since the vertical farming technique requires less water than the customary farming system. The high initial investments in vertical farming and limitations on the variety of crops grown are the major restraints observed in the growth of vertical farming market in Asia-Pacific. Asia-Pacific is observed to witness fastest growth in the market. As the region comprises of largest population and they require a technique to meet the demand of this ever increasing population. Moreover, this region is considered to be very adaptive in implementing vertical farming technique and any new technology in the region. Thus, the demand for vertical farming in the region will expand significantly in the near future. 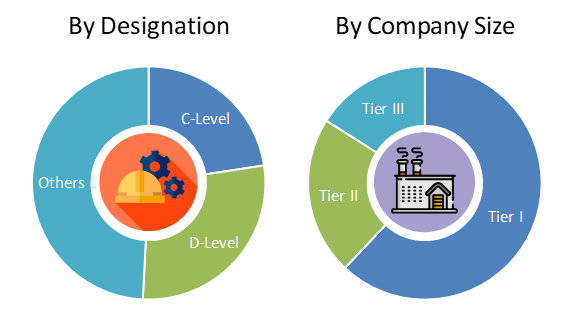 Some of the key players operating in the Asia-Pacific vertical farming market are Koninklijke Philips N.V., OSRAM GmbH, Illumitex, GE, Valoya Oy, Everlight Electronics Co. Ltd., Epistar Corporation, LumiGrow Inc., LEDHydroponics, Fionia Lighting, NET LED Limited, Apollo Horticulture, Grow LED Hydro, California LightWorks, Kessil, Kind LED Grow Lights, Spectrum King LED Grow Lights, Sunprou Opto-Technology Co. Ltd. and Shenzhen Jing Chuang Xing Technology Co., Ltd.
11.6. Everlight Electronics Co. Ltd.
11.18. Sunprou Opto-Technology Co. Ltd.
11.19. Shenzhen Jing Chuang Xing Technology Co., Ltd.
Table 54 Snapshot – Koninklijke Philips N.V.
Table 59 Snapshot – Everlight Electronics Co. Ltd.
Table 61 Snapshot – LumiGrow Inc.
Table 71 Snapshot – Sunprou Opto-Technology Co. Ltd.
Table 72 Snapshot – Shenzhen Jing Chuang Xing Technology Co., Ltd.
Shenzhen Jing Chuang Xing Technology Co., Ltd.